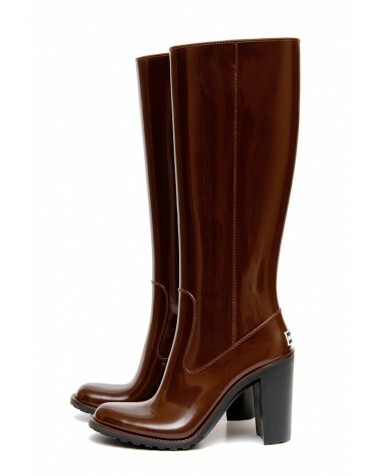 Elegant wellies made from soft material that accent the beauty of your legs! A high and stable heel, integrated zipper and a thin insole to keep you warm! Exclusive model from BOOMBOOTS. Limited edition! Attention! Please choose SMALLER size. Height of boots 44 cm. Height of heels 10 cm. Elegant wellies made from soft material that accent the beauty of your legs! A high and stable heel, integrated zipper and a thin insole to keep you warm! Exclusive model from BOOMBOOTS. Limited edition! Attention! Please choose SMALLER size.